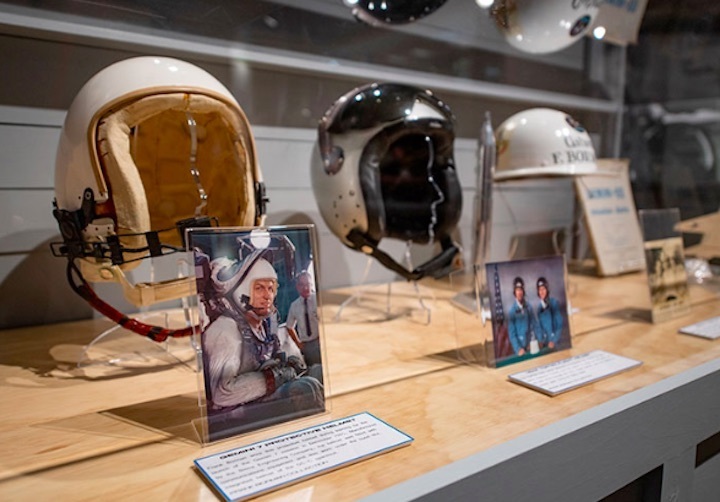 — Frank Borman's personal space memorabilia has debuted on display, 50 years after some of the items accompanied him on the first mission to launch humans to the moon. 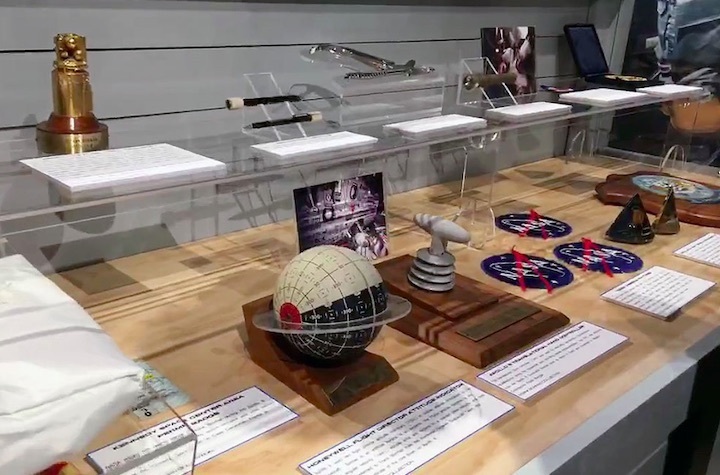 "I cannot believe how honored we are that he has selected our museum to share with the rest of the world these artifacts," said Jack Pelton, CEO and chairman of the Experimental Aircraft Association (EAA). 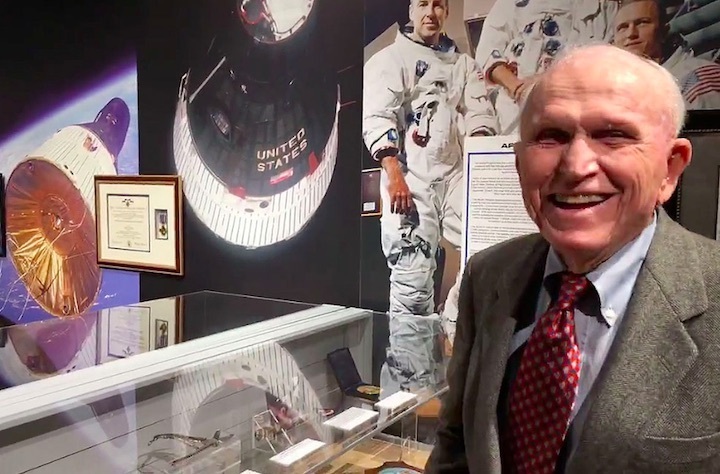 "Let's celebrate Frank's amazing career, let's celebrate that he's sharing this with the entire world, our members, our volunteers and is doing it here in Oshkosh." 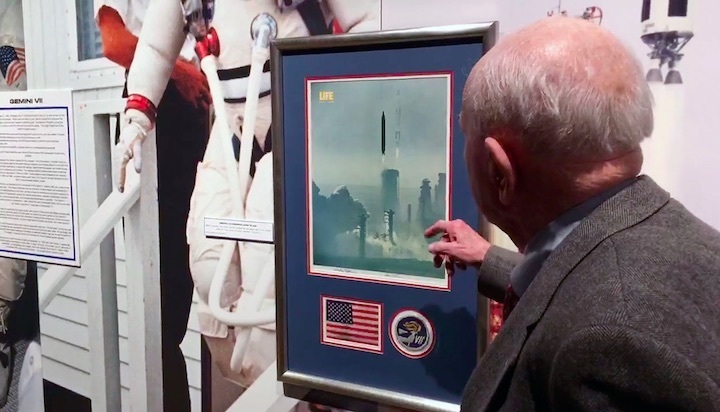 "You're pointing out to me how old I am," said Borman, reacting to photos of the first and second groups of astronauts on display in the exhibit. "These people [the Mercury 7 astronauts] are all dead now. And here's the first 19, and I would say a majority of them are dead, too. This an era that has passed." "This was the scissors we used to cut the plastic bags where we kept the food," said Borman. "The bags came with freeze-dried food in it. You injected water into and then mixed it up and then cut it [to open]."